Below are a series of art painting tutorials and methods - I hope you find these helpful. 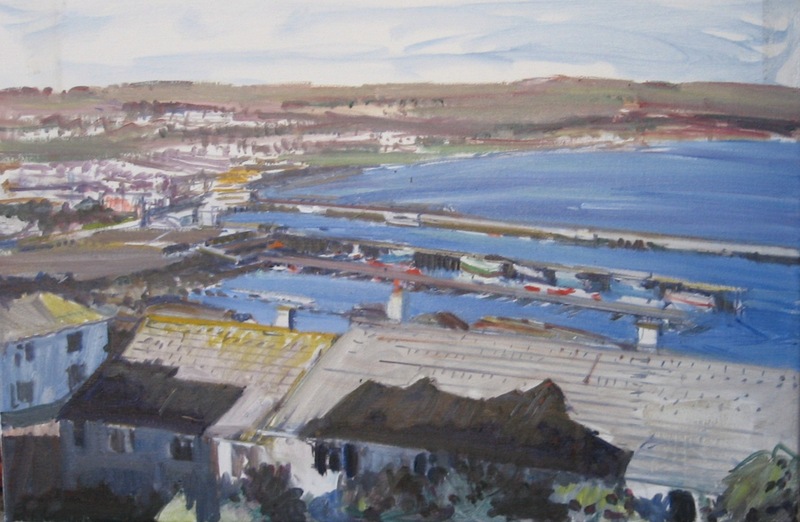 I have taken five photographs of my painting ‘Newlyn Harbour from Bowjey’ which show it at various stages from the drawing in of the scene to the final painting. This is not to suggest that this is the only way to paint or produce a work of art. It is just the way I have done it. The process of making a painting is interesting and it is always fascinating to me to see how an idea for a work develops from the initial sketch or photograph to the final work. The sketches and even false starts of past artists can often be seen in exhibitions. There was a particularly fine show of drawings by artists of the Newlyn School held at the Penlee House Museum Penzance, last Autumn, with superb charcoal drawings by Walter Langley of the people of Newlyn done more than one hundred years ago. 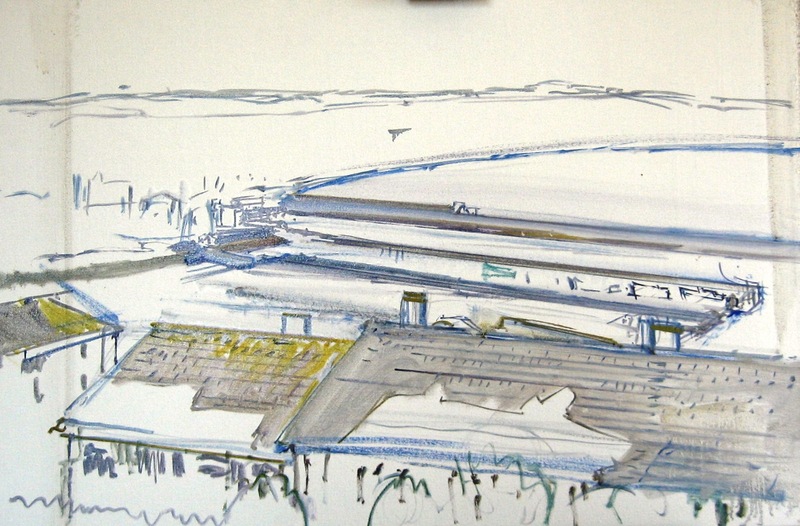 In my case I often use drawings or photographs, usually a combination plus work done on site. With the painting of Newlyn Harbour, I used six or seven photographs plus several paintings which I had previously done from the same site. 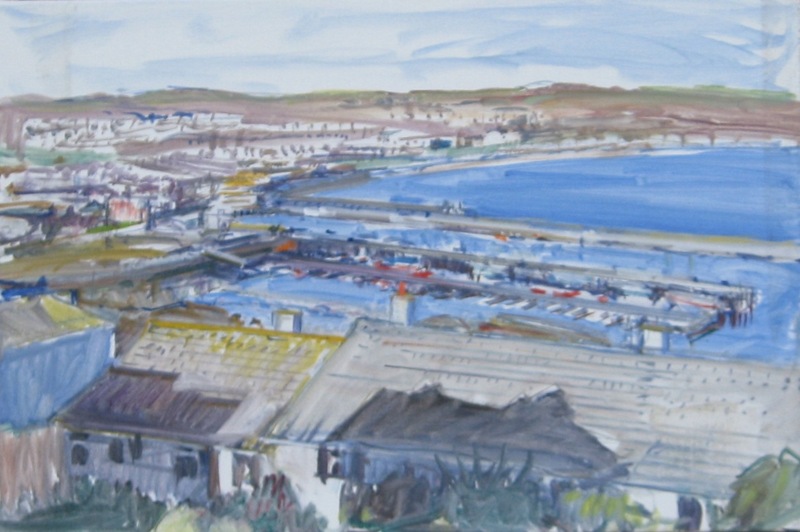 I changed the size and position of the eucalyptus tree on the right and moved various buildings and angles to better express the view and the Harbour. I maintain that I am a twenty first century painter, in spite of my love of traditional oil colour. 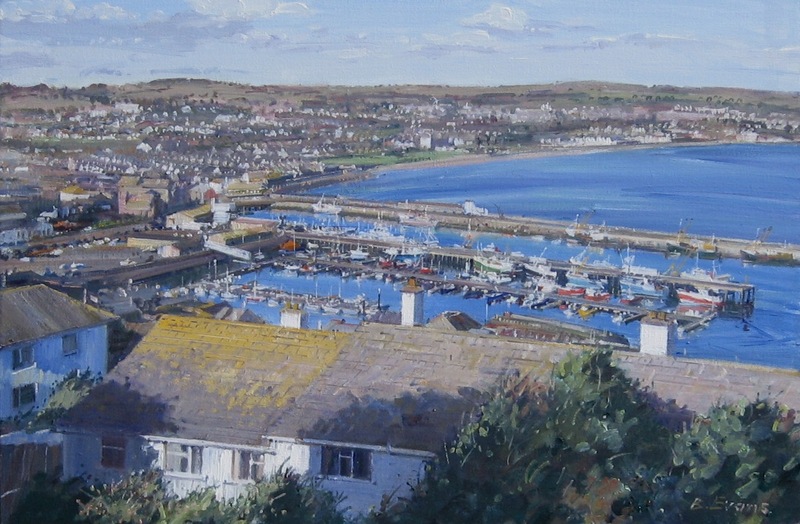 The scenes of Newlyn (or of London, or of workers in Newlyn Fish Market could not have been painted by the artists of the day – they are scenes from the twenty first century – such motifs did not exist in their day. The colours and shapes of practically everything have changed. This is my material, my subject matter. 4. Final painting with thicker colour. Thinner darks with thicker lights. Transparent colours in distance. More opaque colour in foreground. Final painting with thicker colour. Thinner darks with thicker lights.Transparent colours in distance. More opaque colour in foreground.